The First Opium War occurred between the English forces under Queen Victoria and the Qing Dynasty forces under the Daoguang Emperor. The main causes of the First Opium War are the addictions suffered by both the English and the Chinese people. Prior to the war, the Chinese people became addicted to opium and the English people had a great desire for tea. These addictions fuelled English-Chinese trade; they traded opium for tea. However opium was destroying the Chinese population, causing them to constantly crave more and weakening them. In light of the detriment opium was causing his people, the Daoguang Emperor banned it. However in doing so, the English no longer had anything to trade with the Chinese for their tea, and they still wanted tea. The Chinese saw this as no great loss, but the United Kingdom saw it as a restriction of free trade, and outraged, they ordered their ships to cease trade with the Chinese. However, the tea-loving English continued to do so and, in an attempt to prevent their men from trading with the Chinese, the English fleet mistakenly fired on the Chinese Navy. In retaliation for this, the Daoguang Emperor requested that foreigners cease aiding the British. The British were not happy and initiated the First Opium War by sacking Guangdong. The First Opium War is the first major conflict between European and Qing Dynasty forces. This was the first time that the two regions of the world had ever directly butted heads, and it was an absolute disaster for China. Having already been weakened by constant rebellion, China was in no shape to face off against the most powerful navy in the world and they were destroyed. 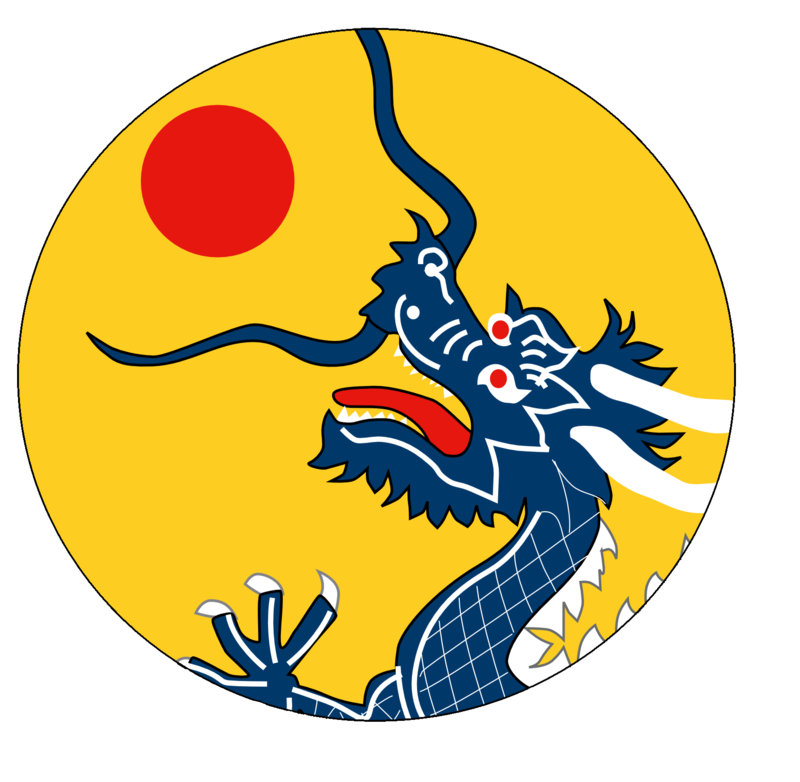 After a decisive victory, England and China signed the Treaty of Nanking, which stated that the British had free trade in China and granted them the territory of Hong Kong. 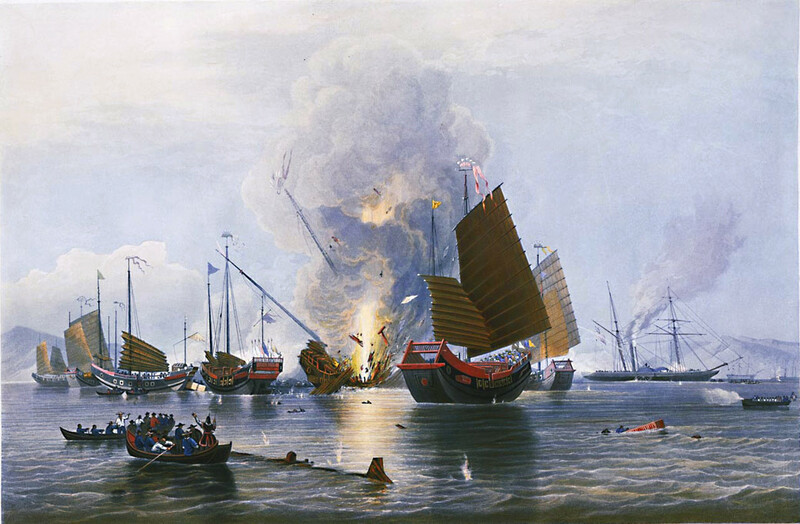 “NEMESIS Destroying the Chinese War Junks in Anson’s Bay, Jan 7th 1841” This famous print of the Second Battle of Chuanbi by E. Duncan dated May 30, 1843, records the first battle appearance of the revolutionary iron steamer Nemesis.